Presenting the Keynote Session at the Music Learning Revolution at the Royal Northern College of Music, Manchester. Adam is a composer, pianist and educator based in London. Fascinated by education and the learning process, he works with many of the UK’s leading music organisations including the National Youth Orchestra, National Youth Jazz Orchestra and the Southbank Centre. He is a consultant for Trinity College London, Musical Futures UK and Musical Futures International and has delivered keynote presentations at a number of conferences including 'The Big Gig', Melbourne, Australia and 'The Music Learning Revolution', UK. He teaches at Trinity Laban Conservatoire of Music and Dance and regularly delivers teacher training across the UK and worldwide. In 2016, Adam composed the score for a brand new musical, 'Grace' which premiered at the The New Wimbledon Theatre. His most recent commission, ‘Speak Up, Speak Out’ was orchestrated for massed instrumental forces and 1200 primary school children from the London Borough of Merton. He is currently working on another large-scale piece entitled 'Thames Tales' which will be performed in May 2019 at the Royal Albert Hall. Adam also recently wrote the arrangements for jazz singer Josie Florence's E.P. 'Nightingale' which was released last year. As a choral leader, he is the Musical Director of VocalLab; an exciting new vocal ensemble based at Snape Maltings. 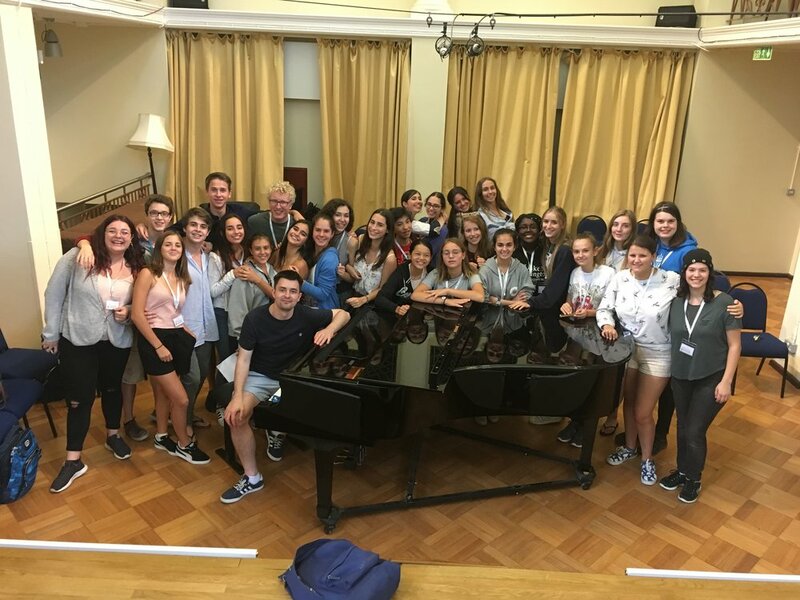 He leads the choir at Ingenium Academy, an international music summer school and directs the choir for a brand new partnership between Trinity Laban and the Open University. As a performer, Adam is a featured pianist for DECCA Records MusicLab and has performed at some of the UK's most prestigious venues including the Royal Festival Hall, Cadogan Hall, Ronnie Scott's and the Camden Roundhouse. He sang with the London Vocal Project for five years and can be heard on the Kenny Wheeler album ‘Mirrors'. Adam set the room alight with a dynamic session, got everyone sounding great and NYO’s teenage musicians are clamouring for his return! Adam creates a warm and welcoming atmosphere for participants in his sessions. He is a versatile, flexible musician, as well as being a brilliant and positive communicator. Adam is able to put artists, participants and audiences at ease to create strong workshops and performances.